I thought it would be funny to include a Non-Canon, 4th Wall breaking “Meta” Joke. But after considering it in the finished form, it seems to just makes things confusing. 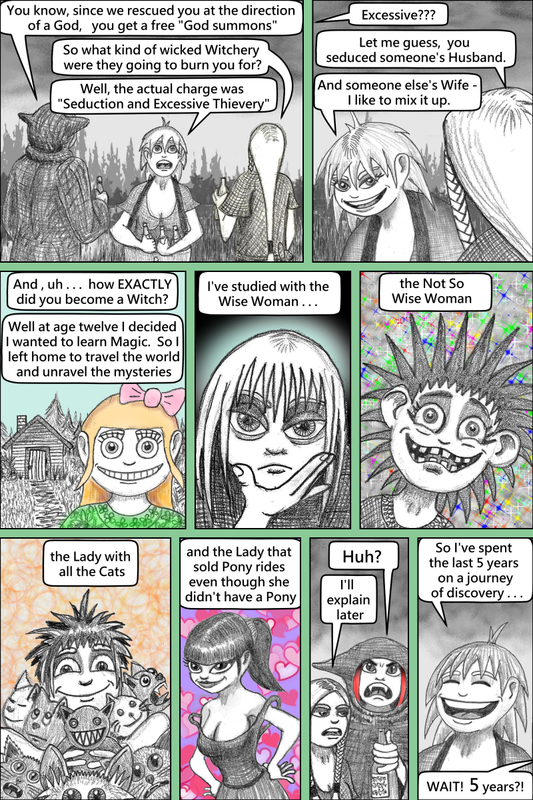 So I’ve removed it from the comic flow, but it is still available here. 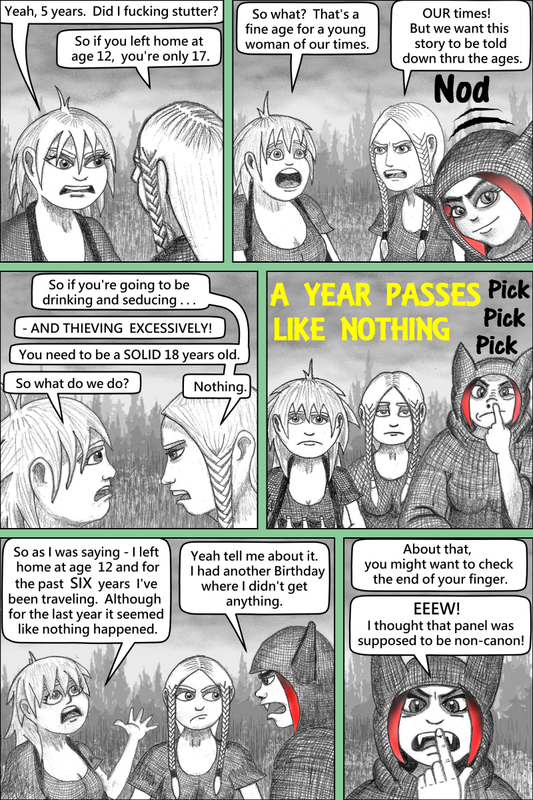 On this page only the last panel is changed (in the canon version she says “6 years”). Technically this whole next page is non-canon. I’ve always been amused at “Kid” adventure stories (like Pokemon) where the characters behave like young adults (leaving home to follow their dreams) but are portrayed as children so the target audience can relate to them. Clover is a young (and rash/irresponsible) woman on a trajectory towards evil. I figured her age should be 18-21, and then got the idea that it would be funny to have her be slightly underage and have Heather magically age her up by one year. But it’s just confusing to the story flow.